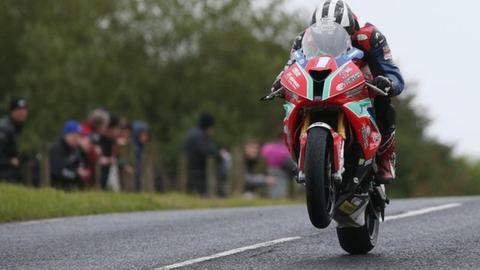 Michael Dunlop recovered from a poor qualifying position to win the Grand Final at the Killalane road races by 2.7 seconds from Jamie Hamilton. Dunlop secured his success on his MD Racing BMW Superstock machine. Michael Sweeney from Skerries finished third, ahead of Derek Sheils, Seamus Elliott and Davy Morgan. In a day punctuated by red flag incidents, Derek McGee won a re-run Supersport race and Michael Sweeney was the victor in the Supertwins class. Sweeney made it a double by winning the 250cc race by two seconds from Elliott, while Paul Robinson won the 125cc event by 0.6 seconds from Sam Dunlop, who lifted the Irish title. Sweeney got the better of McGee in the keenly contested Supertwins outing, with Hamilton completing the rostrum positions. Dunlop won the 350cc classic race to complete a double of his own.